You’re just getting one photo today, but it is a nice one. This is our rainy season, but it is warm rather than cold and the flowers love it. They drink in the opportunity and bloom. 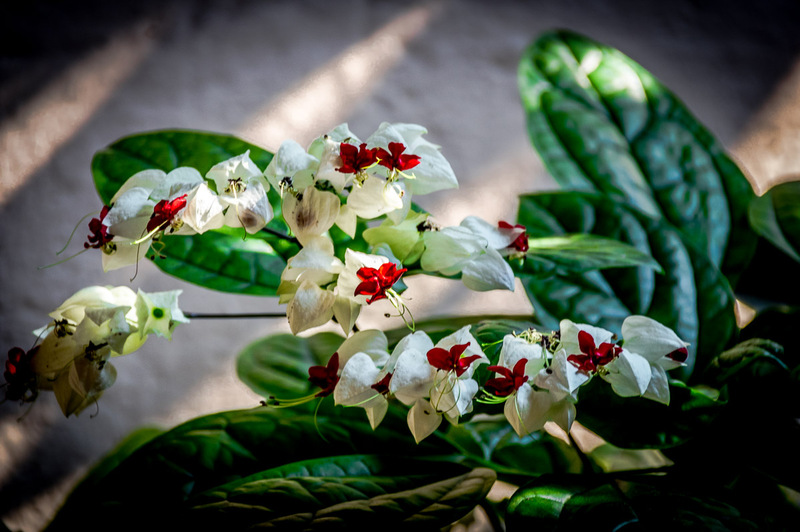 This flower lives in a friend’s atrium area, a classic feature of a colonial home. But let’s use this opportunity to show you something different. I’ve had menu links (up in the blue bar at the top) to galleries on my pages for a while, but honestly they haven’t been working like they should. The tool I was using to show the galleries had moved to become a “Swiss Army Knife” instead of a single purpose tool and had just become too complex to maintain properly. That happens to a lot technology, but it was time to move on. So, feel free to try the new gallery menu items: Music Portfolio and Photowalks Portfolio. It will take a few seconds to load them, especially if this is the first time you have opened the pages (and I know it is – because they are new) – but be patient, especially if you are on a slow connection.